Paella is one of the most famous Spanish dishes. The mixture of rice, chicken, pork, and seafood is slow cooked and tough to beat. Our friend and language tutor, Karine, prepared it for us and my parents. We had a great time eating and talking about how we eat – manners, customs, and faux pas. 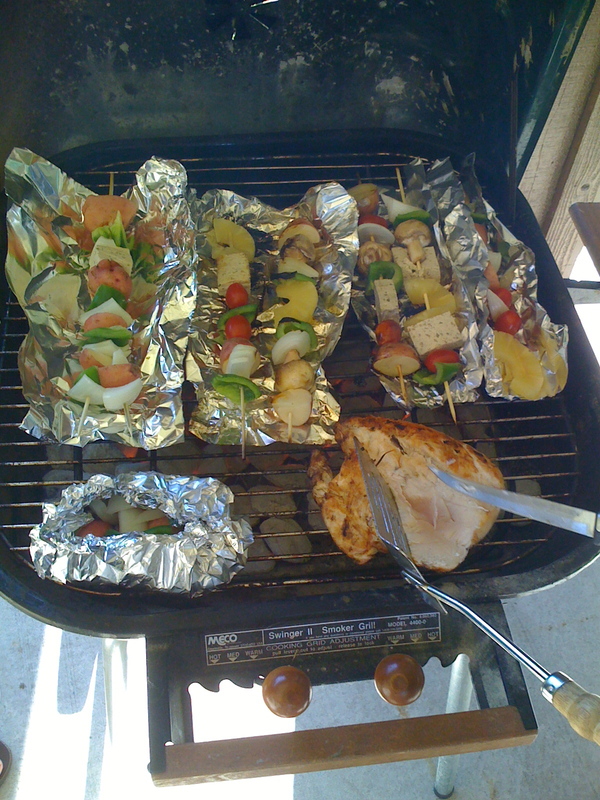 This is a new recipe that I tried last night. Hope you find it as “tasty” as I did. 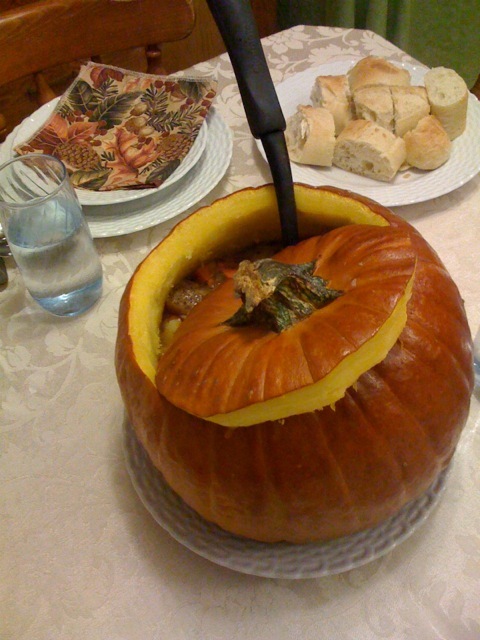 I found a recipe for pumpkin stew in my favorite brand of cookbooks, The Gooseberry Patch. 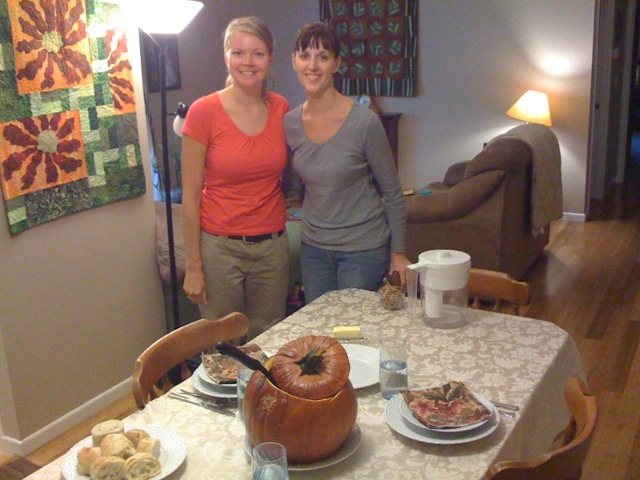 Heather and I hollowed out the pumpkin and then we put the stew into the pumpkin and baked it for an hour. Yum!